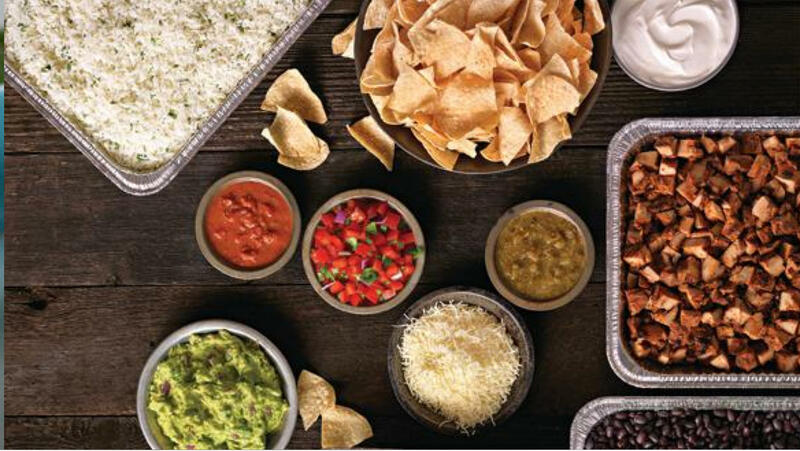 QDOBA offers a craveable spread for any event, big and small. From our hot bars with build-your-own tacos, nachos, burrito bowls and salads to our delicious box lunches options, you're sure to delight even the pickiest eaters. Our catering team will ensure your order arrives on time and is set up and ready when you need it. 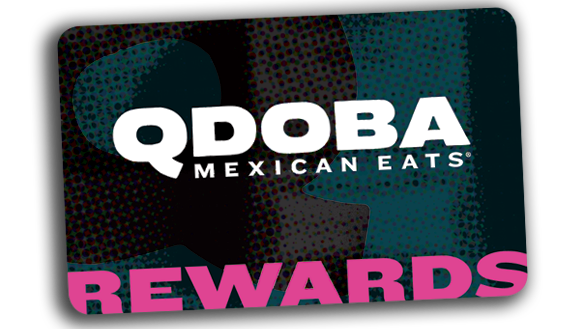 Give your guests the gift of flavor with QDOBA Catering. Tell us about your catering needs, and our team members will recommend the best options to cater your event. Our craveable customizable catering menu is a great option for groups as small as 10 people. Your guests can build their own Mexican dishes – nachos, tacos, and burrito bowls – and pile them with a variety of tasty toppings. Each catering order comes complete with everything you need to serve a memorable meal. 10 person minimum (Order increments of 5). Take the indecision out of lunch time meetings. 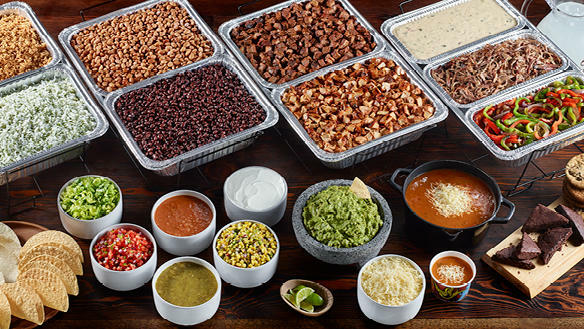 QDOBA boxed meals make hosting easy, with handcrafted burritos loaded with craveable toppings. Each lunch is served with a side of handmade tortilla chips and salsa, plus a sweet treat. 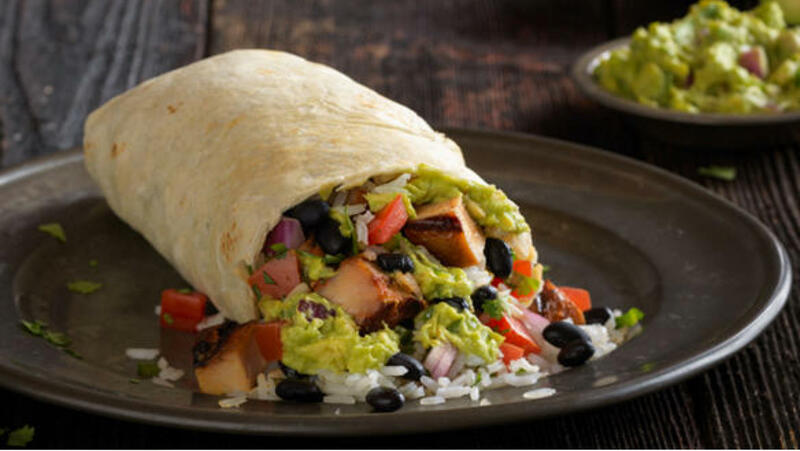 One QDOBA handcrafted burrito (Vegetarian, Adobo-marinated griilled chicken or steak) loaded with slow-simmered black beans, cilantro-lime rice, cheese, and salsa. Choice of a chocolate chip cookies or double chocolate brownie. 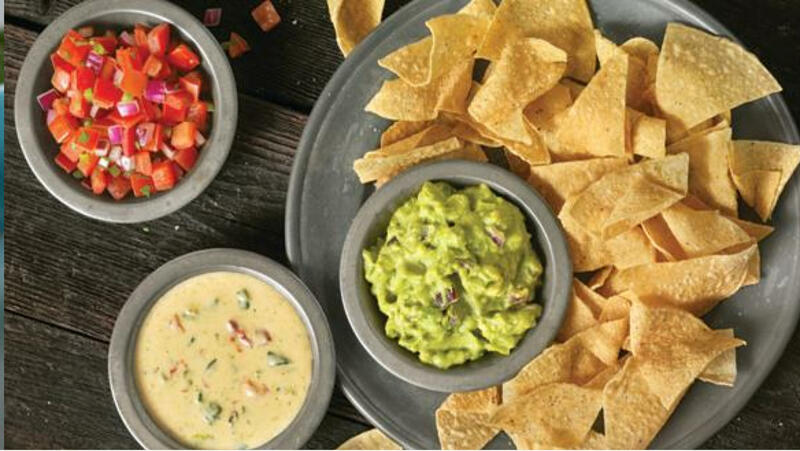 Make your catering order even more delicious by adding on vegetables, drinks, dessert, or our signature 3-Cheese queso. Please let us know if anyone in your party has food allergies. Check our nutrition and allergen guides. Order Qdoba. Earn Points. Get Rewarded. With Catering Rewards, you earn 1 point for every dollar spent that you can redeem for catering discounts, free entrées, and Visa® gift cards. 100 catering points can get you a free entrée, and 1,000 catering points can get you a $50 catering discount or a $50 Visa® gift card. Plus, your catering orders count as visits so you can climb tiers faster. We will accept orders with a minimum of 24 hour notice, however, everything is dependent on the availability of our teams —so the sooner you order, the better. Can I order a la carte items? Yes, almost all of our catering items can be ordered a la carte to support your event’s needs. How much space will I need to setup my catering? We recommend having at least one 6-8 ft. table for serving on orders smaller than 30 people; 2 tables are recommended for orders between 30 and 100.